The problem with photographing an emergency response vehicle is that you can never be quite sure whether it will be there when you need it. 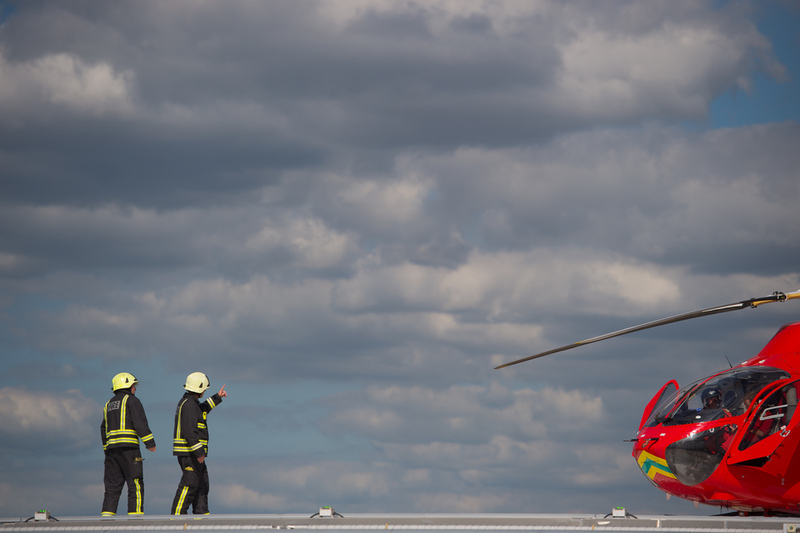 This was my second visit to the London Air Ambulance - the first time, it had left for an emergency repair ten minutes before I arrived. This time I made it all the way up to the command centre at the top of the Royal London Hospital and was just starting to discuss my ideas for the shoot when, having been silent all morning, the alarm went off and the helicopter was scrambled - the timing was almost comical. Forty five minutes later, having successfully rescued a critically injured horse rider from West London, it was back.....but only for fifteen minutes before flying off again for refuelling, so once again I had a tiny window of opportunity to get the job done. This is why sensible photographers stay in the studio and shoot still life........the view from the helipad, however, was spectacular.